Today you get to hear about why I had such a big grin on my face when I got my post today. 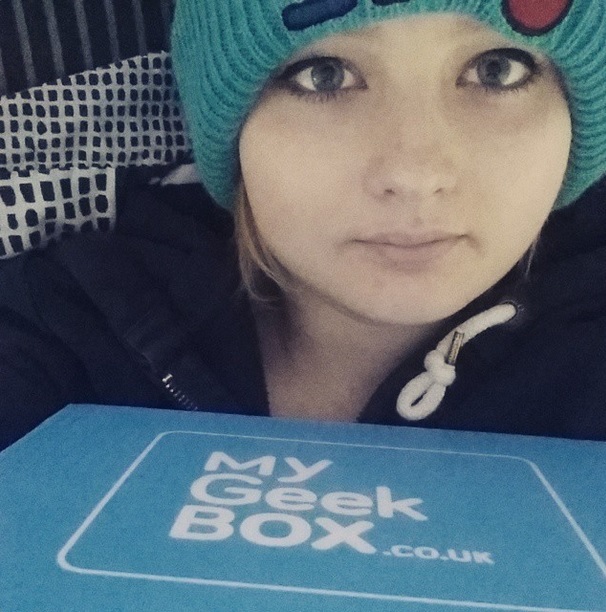 My Geek Box is a subscription box company from the UK who deliver a little blue box full of geeky goodies to your door once a month. It costs £17.99/month (less if you pay for a number of months in advance) and usually has an average retail value of £40. This is my sixth box I have received from MyGeekBox and I have yet to be disappointed. The Christmas edition was particularly great – I now have more Star Wars decorations that my tree can handle for next year. Click below for the full video review – be warned, it’s my first ever video so prepare for much awkward laughter… egheh. This entry was posted in Subscription Boxes and tagged Box, Geek, MyGeekBox, Subscriptions. Bookmark the permalink. Does this box only ship to the UK or worldwide? I could not easily find out on the website though can just email them to ask I suppose. Looks cool.